• Summary: Would change the definition of an open meeting so that only meetings where action is taken are considered open. Discussion among members can occur in private. • Author: Sen. Sylvia Allen, R-Snowflake. • Status: Yet to be heard in committee. • Summary: Would keep the names of officers who use deadly force secret for 90 days. • Author: Sen. Steve Smith, R-Maricopa. • Status: Scheduled for a hearing Wednesday, Feb. 11, by the Senate Public Safety, Military and Technology Committee. • Summary: Would allow former judges to keep their home addresses and phone numbers out of the public record. • Status: Awaiting action by the full Senate. • Summary: Political candidates could opt to keep their home addresses out of the public record. • Author: Rep. Kelly Townsend, R-Gilbert. • Summary: Would keep the names of lottery winners secret for 90 days after the prize is awarded unless the winners consent to their names being released. The city and county of the winners would still be public record. • Author: Sen. John Kavanagh, R-Fountain Hills. PHOENIX – Saying Arizona’s open meetings law stifles informal discussions, a state lawmaker wants to allow members of elected boards to talk out of the public eye when they aren’t set to take action. Another lawmaker wants the names of officers who use deadly force to be kept from the public for up to 90 days, with the police union pressing for the change saying it would keep officers safer. The bills are among at least five introduced this session that aim to remove information from the public record. Others would keep lottery winners’ names secret for 90 days, allow political candidates to request that their home addresses not be released and let former judges to keep their addresses and phone numbers secret. 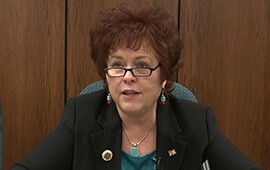 SB 1435, introduced by Sen. Sylvia Allen, R-Snowflake, would require that only meetings where action, such as debating or voting, begins to take place be held in public. She said it’s difficult for members of elected bodies, especially those with three and five members, to talk without the threat of breaking the open meetings law. She said she experienced that as one of five members of the Navajo County Board of Supervisors. “I felt that this would really make for better government because – let’s put it this way, before you have to take legal action, work has to be done and it has to be done by the staff,” Allen said. Arizona’s open meeting law requires that discussions, deliberations, considerations or consultations involving the majority of members of an elected body be held in public meetings. “I absolutely want to protect the public, and I’m trying to protect the ability of the small-member boards and commissions, honestly, so they can be in the same room together,” Allen said. David Cuillier, freedom of information chair for the Society of Professional Journalists and director of the University of Arizona School of Journalism, said the bill would “completely gut” Arizona’s open meetings law. Dan Barr, an attorney specializing in media law, said the change would would defeat the purpose of Arizona’s open meetings law. “The whole point of government transparency is for the public to not only assess what the government is doing but be involved in the process,” he said. Allen’s bill was assigned to the Senate Government Committee but has yet to receive a hearing. SB 1445, authored by Sen. Steve Smith, R-Maricopa, would allow law enforcement agencies to withhold the names of officers involved in incidents in which deadly force is used. Officials would be able to keep names secret for 90 days. While Smith didn’t respond to a phone message seeking comment, Joe Clure, president of the Phoenix Law Enforcement Association, which is calling for the change, said the legislation is a response to recent public backlash against officers involved in shootings in places such as Ferguson, Missouri. Clure said oftentimes when officer-involved shootings occur, the public is quick to jump to conclusions. But Barr, the media attorney, said the bill would limit transparency and wind up making members of the public more upset. Cuillier said the bill would create more distrust toward the police and government. Smith’s bill was scheduled for a hearing Wednesday before the Senate Public Safety, Military and Technology Committee. 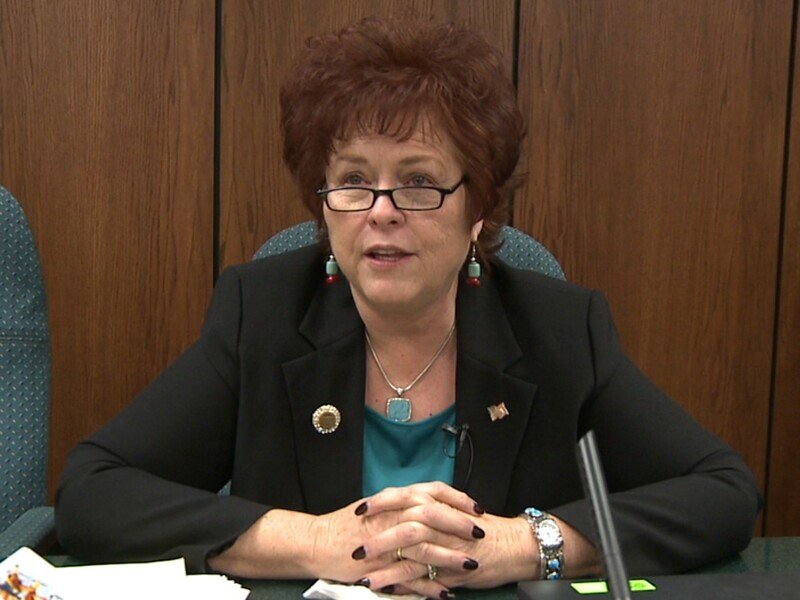 State Sen. Sylvia Allen, R-Snowflake, shown in a 2011 photo, says her service on the five-member Navajo County Board of Supervisors left her thinking that Arizona’s open meetings law is too restrictive. She authored a bill to allow members of elected boards to meet out of the public eye unless they are preparing to take action.